Projects allow you to group repositories and to manage permissions for them in an aggregated way. Fill out the form. We recommend that you use a short project key. It will be used as an identifier for your project and will appear in the URLs. 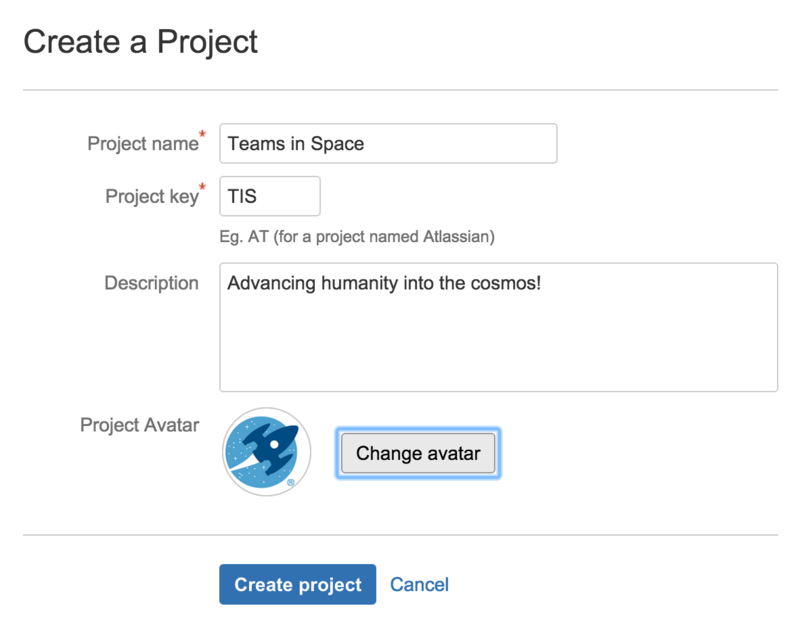 Optionally, you can choose an avatar for the project. This is displayed throughout Bitbucket Server and helps to identify your project. Click Create project when you're done. You'll want to add repositories to the project. See Creating repositories for details.